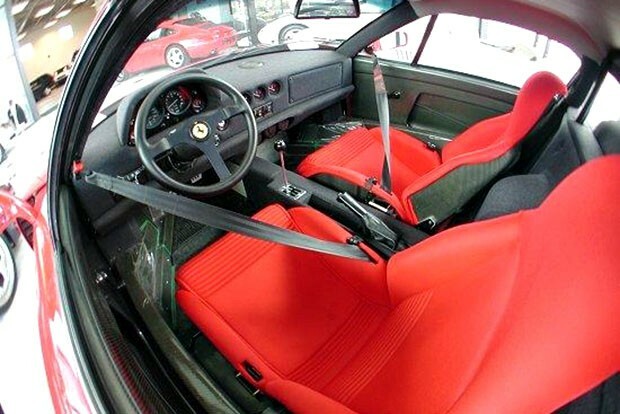 What are the differences between Euro-Spec and US-spec Ferrari F40? 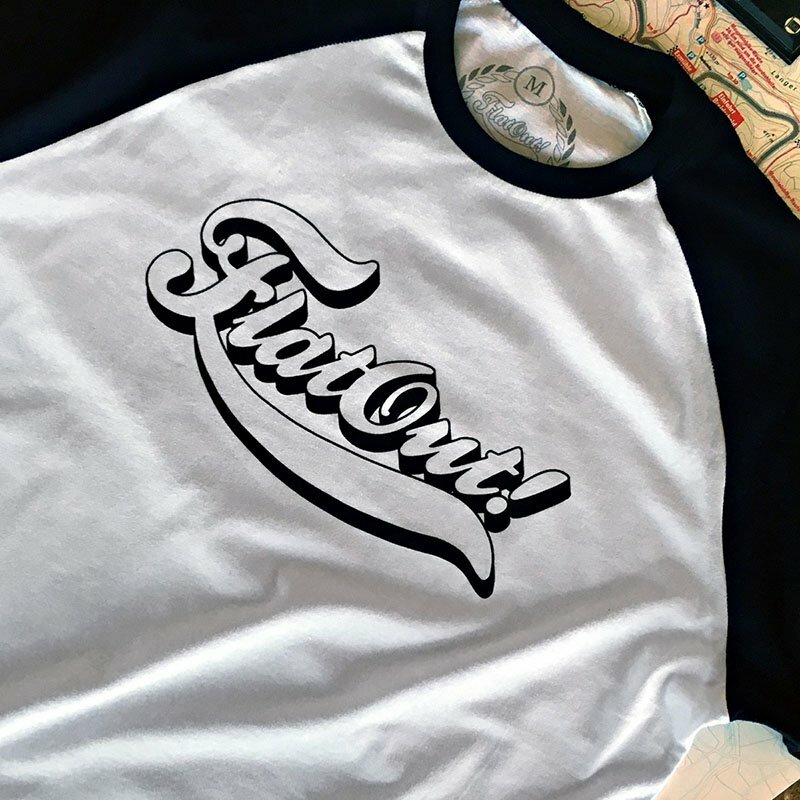 - FlatOut! 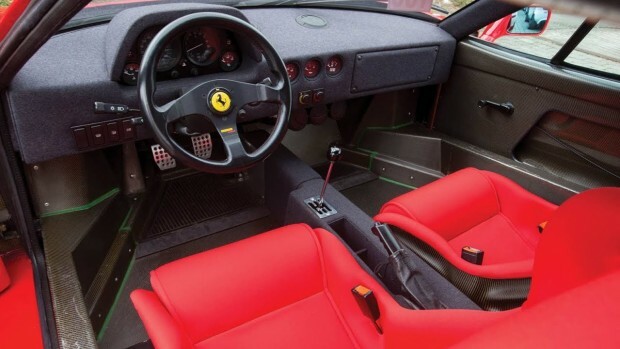 What are the differences between Euro-Spec and US-spec Ferrari F40? 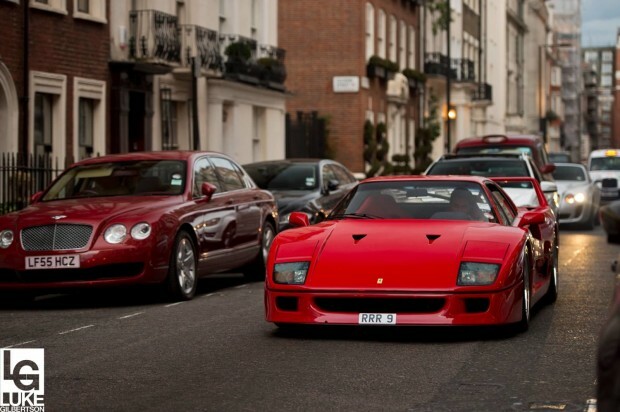 Some days ago I was talking to a friend about the differences between the Ferrari F40 US-spec and the F40 Euro-spec. We were not agreeing on anything about it, so I started to search for some reliable information and suddenly found myself lost in a misinformation maze. Cazzo! 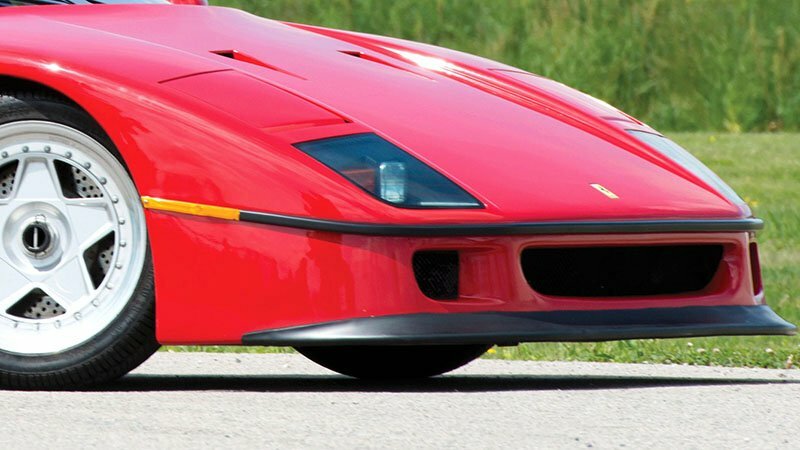 Where would I find some reliable sources and precise data about the two different F40 specs? 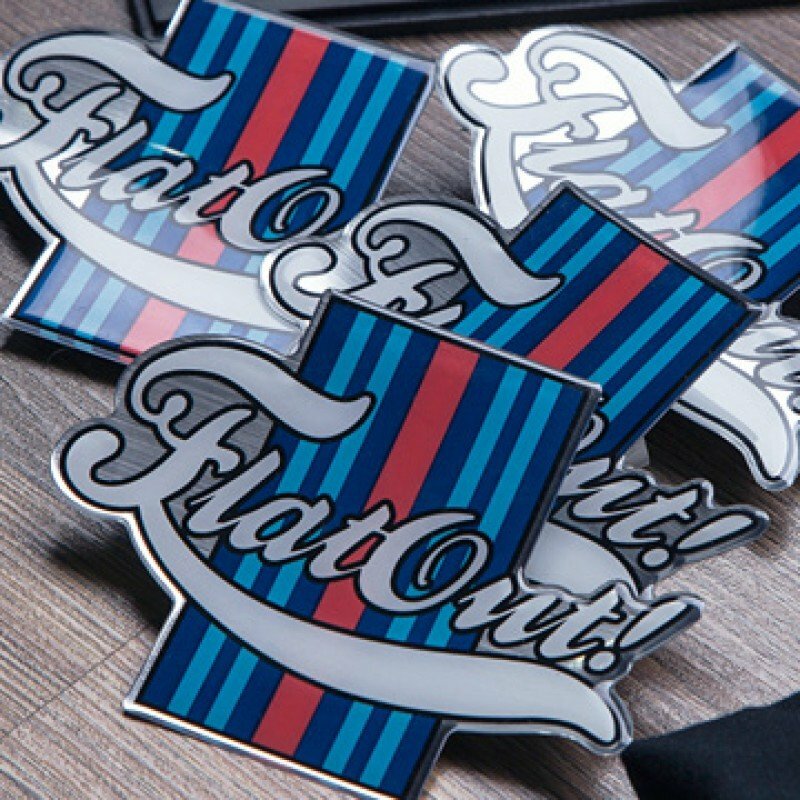 Well… what’s the best information source about any car? Its owner’s manual! 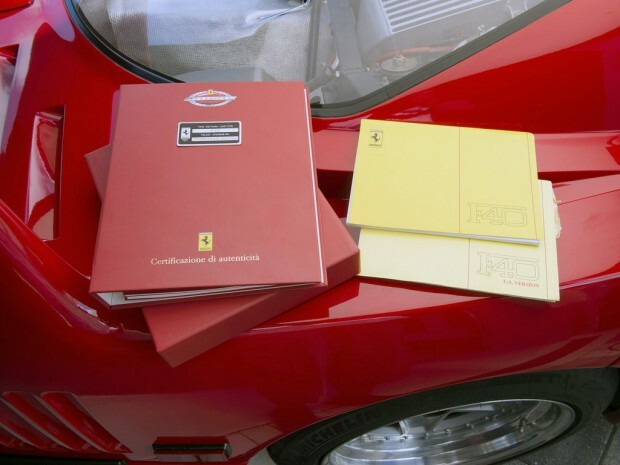 So I managed to get the Ferrari F40 owner’s manual in both versions — US and Europe — and could finally compare the differences between them. Let’s start with the outside, where we get the most noticeable differences. 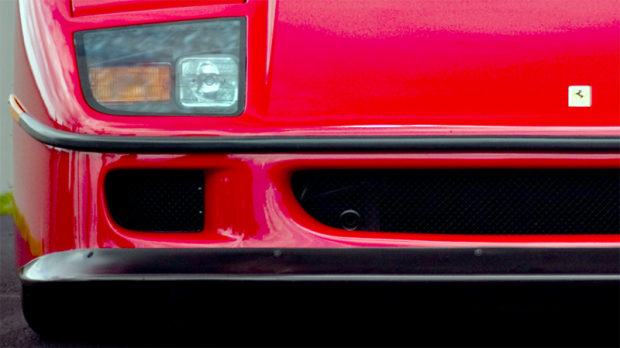 Thanks to the awful 5-mph bumper law, the US-spec F40 got a rubber mustache and a goatee at the front, maculating its clean and aerodynamic style. Because of these hideous protobumpers, the tow hook mounting is different on each version. 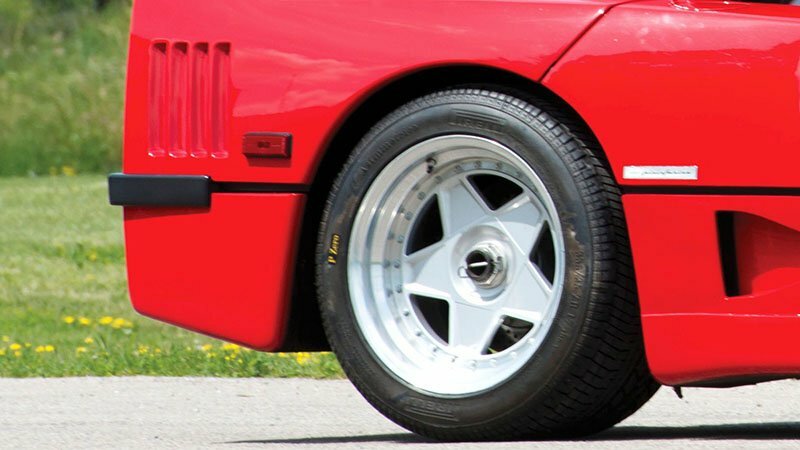 In the Euro-spec F40, it is a hole in the front skirt. The American one has a more elegant solution, hiding the small aperture in the black mesh of the radiator intake. Besides the rubber strip which pretend to be a bumper, US-spec cars also have the mandatory side markers just ahead the front wheel arches — so as the rear ones are behind the rear wheel arches. 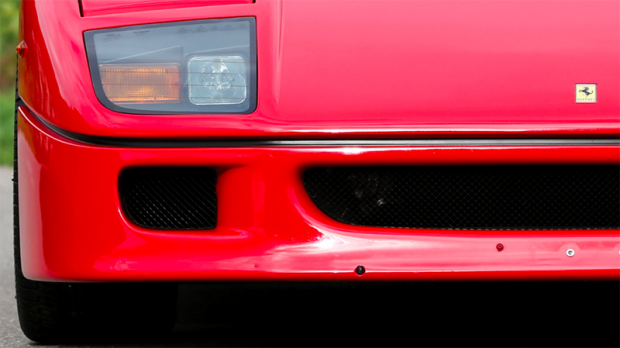 And as we’re talking about the rear, US-spec F40s have a distinguished rear fascia, without fog lights and with a high mount stop light. 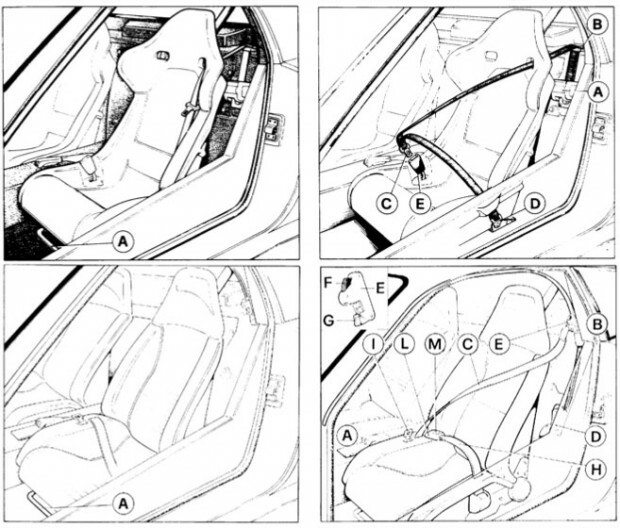 To get its road-legal certification, Ferrari had to submit the F40 to the safety tests, which implied in reinforcing its chassis with new bumper mountings and side protection bars among other structures added to the space frame. 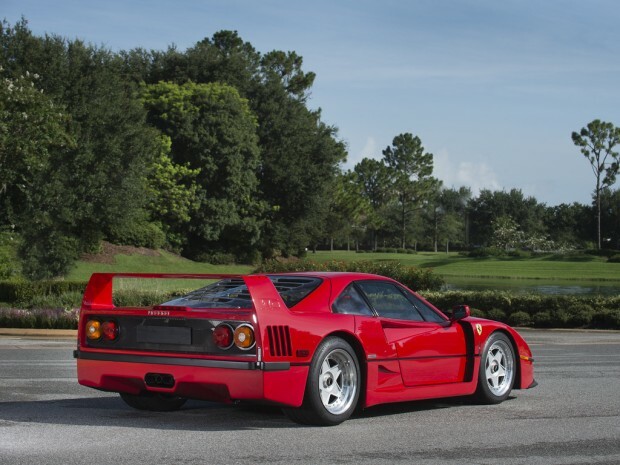 Some classic cars experts say the US F40s have a dry weight of 2975 pounds, but this is actually its curb weight — with all the fluids and half-filled fuel tanks. 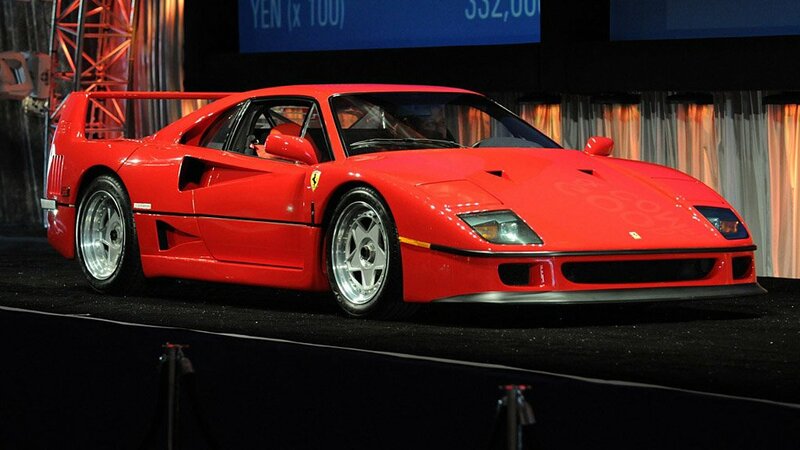 Italian F40s weight 2722 pounds. But US F40s also have smaller tanks: while the Euro F40s had 31.7 gallons of fuel to burn, American cars are 5.3 gallons shorter and made out of aluminum. 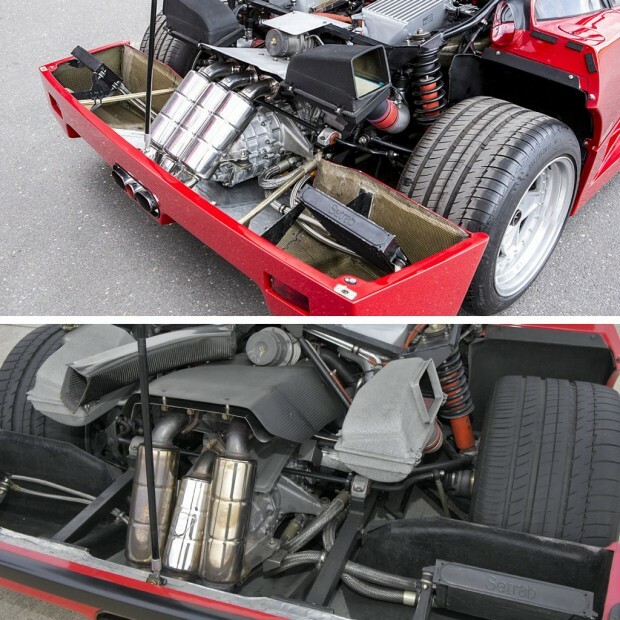 They’re integrated to chassis on American F40 (in order to bear the 5 mph impacts) and tied by aluminum tubes on the Italian ones. On the inside differences started in the seats. 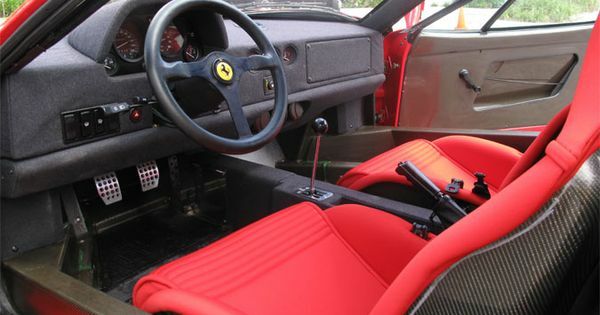 Both were made out of kevlar and Nomex, but Italian cars had racing shells with three point seat belts, while American cars had sport seats with automatic seat belts. Dashboards were also different here and there. American cars had a lower pad to accommodate the triple air vents, while European cars had them hanging and exposed. The most controversial aspect were the mechanical specs and performance differences. Suspension, steering rack, brakes and clutch were all the same, but things start to differ at the fuel system. Besides the smaller aluminum fuel tanks, American F40s had submersible fuel pumps while italian cars had external pumps. Engine timing is also different. Intake valves open 12º before TDC and close 52º after BDC on American cars. 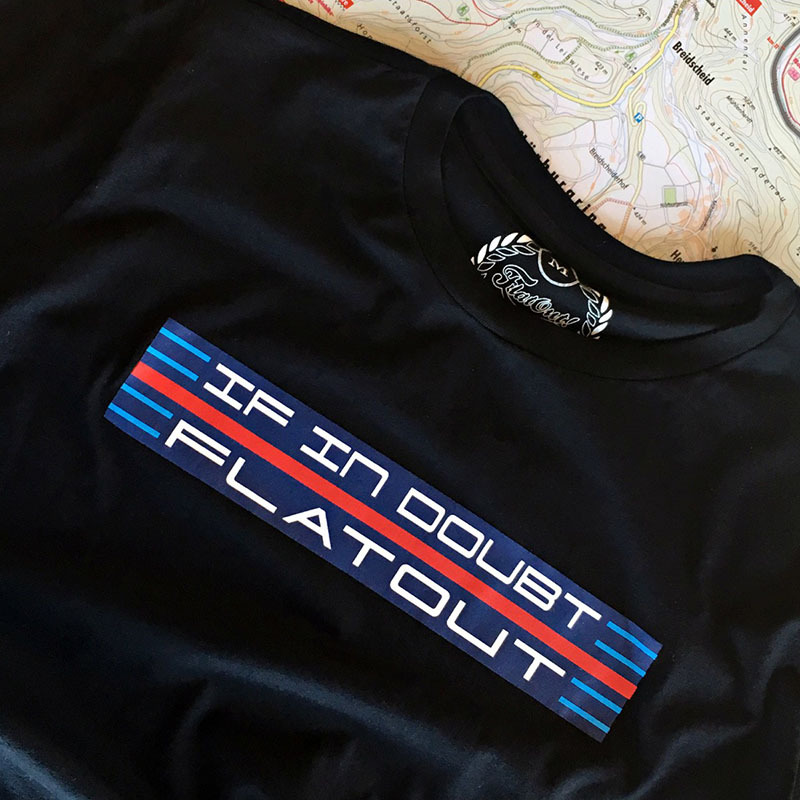 On Euro-spec cars everything happens 4º earlier. 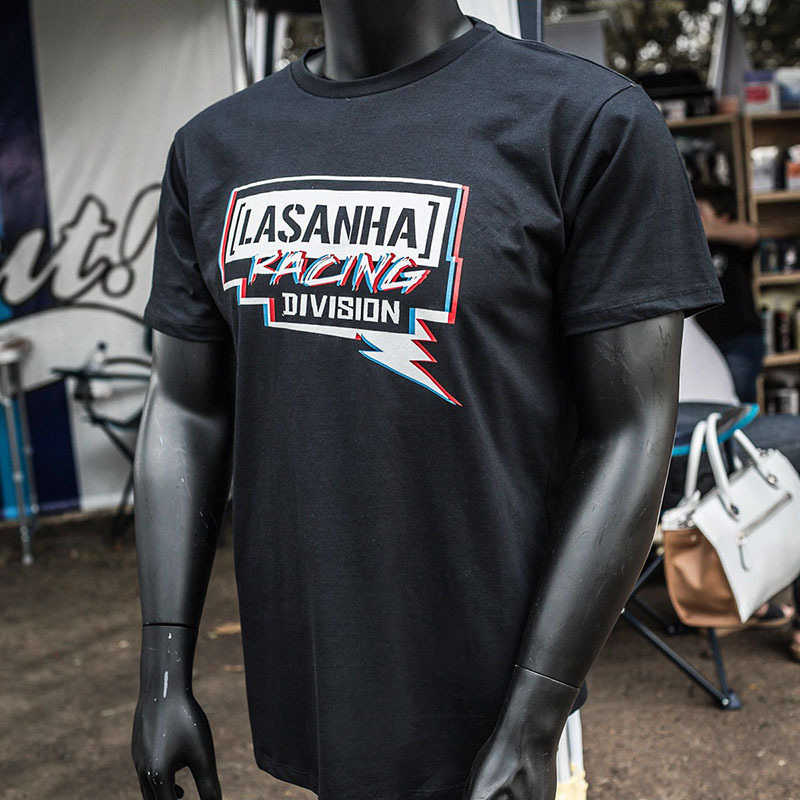 Exhaust valves have the same timing on both cars, opening 54º before BDC and closing 10º after TDC. The reason for the different timing are the catalytic converters, mandatory on US cars. These changes on intake timing is a way to overcome their back pressure. Oddly, power output is higher on American spec cars. The manual data sheet says the V8 F120D equipped cars – like the American ones – have 356 kW/477 hp, while European cars (F120A engine) have 352kW/471 hp. On the other hand, US-specs have lower torque: 424 lb ft at 4.500 rpm vs. 426 lb ft. at 4.000 rpm. American cars also have higher gear ratios to keep the pace up with its Italian sibling, but the extra weight doesn’t help. The 0-62 mph run takes 4.8 seconds on US cars, while Euro cars do the same in 4.1 seconds. 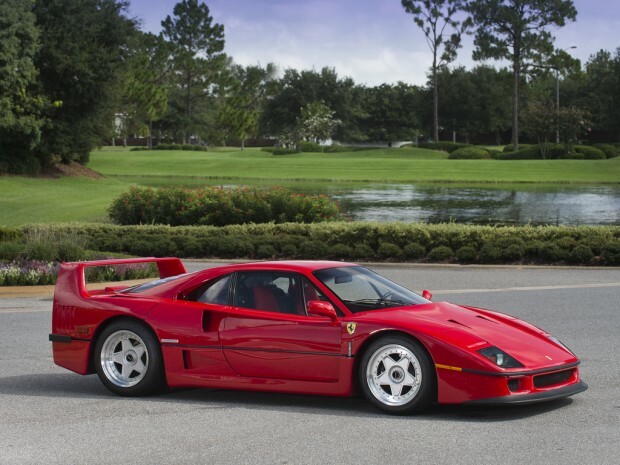 Top speed is also a bit lower in America, with 194.5 mph and 201.3 mph on Italian F40s. At least American cars sips less fuel in the city: they run 13 mpg on urban cycle and 10 mpg on the highway. Euro-spec F40s run 10.5 mpg city/ 12 mpg highway. Chevrolet Equinox ganha versão de entrada, Lamborghini revela Urus em teaser, Alfa Romeo pode voltar à Fórmula 1 em 2018 e mais!